Mixed martial arts has a way of letting a fighter know when it’s time for a change. Whether it is the need to change training camps or full-on retirement, performance in the cage is often indicative of a need to shift gears. 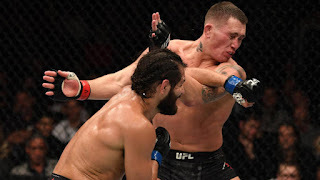 The MMA world may have witnessed this occur in the career of Darren Till at UFC London when he was stopped by Jorge Masvidal in the second round of their welterweight main event bout. Till was left prone on the mat for an extended period of time, and perhaps this outcome showed that this should be the last time we see him in the 170-pound weight class. Till went into this fight as the favorite, and early on it looked like that prediction would play out well. He dropped Masvidal early in the first with a straight and put the Cuban-American fighter on his heels early. But from that point forward, Masvidal displayed the veteran ability that has led him to a cult following within the sport. A counter hook rocked Till in the second, and video would show that the English fighter was out on his feet before a second shot landed. The crowd was silent as Masvidal walked around the cage and Till laid motionless for what seemed like an eternity. When Till and Masvidal faced off in the Octagon, it was clear that Till was the larger man. 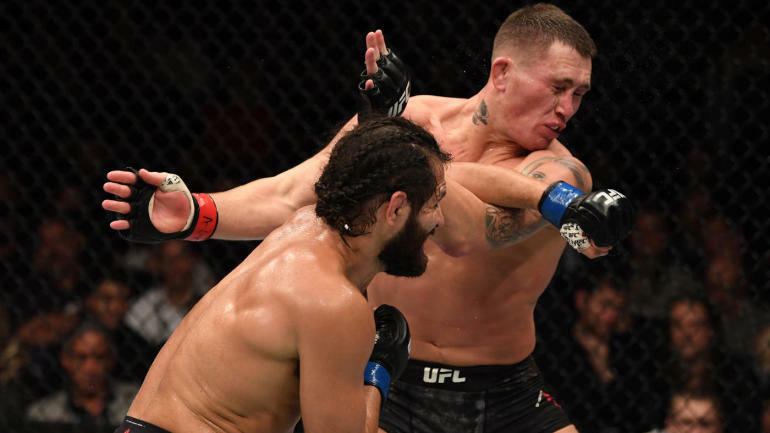 This is an advantage that he’s routinely enjoyed as a part of the welterweight division, but at the same time, it has also been a challenge for Till, as he’s missed weight two times during his UFC tenure. 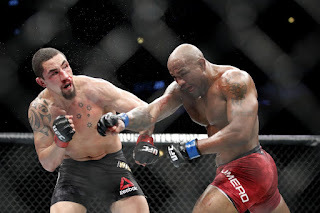 He’s done a better job managing that weight cut in his last two bouts, but he’s also been rocked badly by shots and dropped by two men who were widely considered lesser strikers. It's worth wondering whether there is a correlation between the depreciation that occurs during weight cuts and how fighters take damage after them. We’ve seen multiple examples of a fighter who struggled to manage his weight cut experience a rebirth of sorts when he moves up to a heavier weight class. In fact, Masvidal was one such fighter. Robert Whittaker and Anthony Smith are two additional examples of fighters that have enjoyed success a weight class up, leading to a championship and a title shot respectively. After his performance on Saturday, it's time to consider whether the same move should be made by Till. 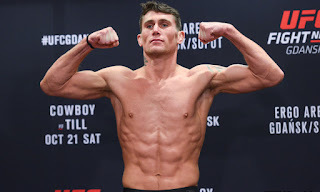 Those around Darren Till should be making the recommendation that he leave welterweight in the past. He was not only dropped to the canvas on Saturday, but his defeat will also drop him from the top of the rankings. He’s will have to go on an extended run if he’s going to get back near the welterweight title at any point. The UFC has shown that it remains invested in Till, but with so many other fighters emerging as both competitors and entertainers at 170 pounds, the company will soon start looking in another direction. After some time in stagnation, the welterweight division has reemerged as a weight class rife with championship-level talent. Till was once considered one of those top talents, but after two one-sided defeats, he needs to move up to 185 and experience bouts in the Octagon without the bane of a massive weight cut. • Darren Till vs. Jorge Masvidal: Jorge Masvidal def. Darren Till via KO (punches) at 3:05 of Round 2. 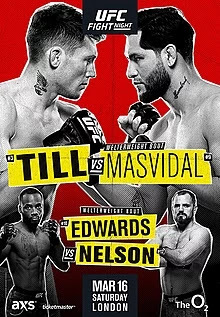 UFC on ESPN+ 5: Till vs. Masvidal took place March 16, 2019 at The O2 in London, England.